Stephen Sondheim's iconic musical comedy. We'd like to propose a toast! Stephen Sondheim and George Furth's Company is heading to London's Gielgud Theatre, and this time, it's about Bobbi, not Bobby. Olivier Award nominee Rosalie Craig will headline the West End production as the now-female lead character. 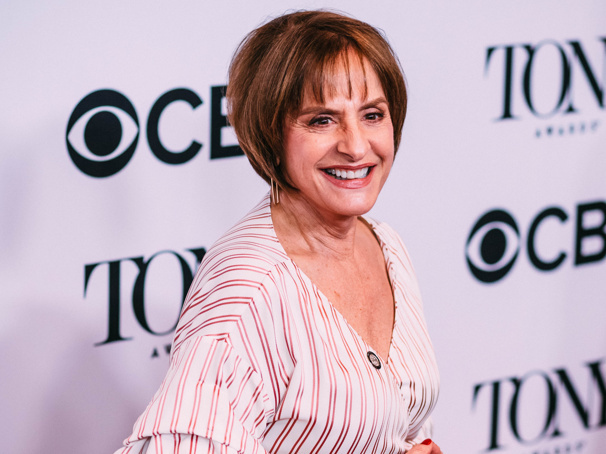 Even better, two-time Tony winner Patti LuPone will belt out "Ladies Who Lunch" as Joanne. Helmed by Tony-winning director Marianne Elliott, performances are set to begin on September 26, 2018. Craig received an Olivier nomination for her performance in The Light Princess. Her other numerous London stage credits include The Threepenny Opera, As You Like It, Sweeney Todd, City of Angels and more. Her film and TV credits include London Road, Spooks, and Casanova. LuPone is currently starring on Broadway alongside Christine Ebersole in War Paint. She has been a Broadway superstar for more than 30 years, from her Tony-winning performance in Evita to star turns in Anything Goes (Tony nomination), Sweeney Todd (Tony nomination), Gypsy (Tony Award) and Women on the Verge of a Nervous Breakdown (Tony nomination). Author of a best-selling memoir, LuPone teamed up with her Evita co-star Mandy Patinkin in 2011 for a series of Broadway concerts and previously played Joanne in Company opposite Neil Patrick Harris' Bobby at Avery Fisher Hall in 2011. Joining Marianne Elliott on the creative team for Company are designer Bunny Christie and musical director Joel Fram. Additional cast and creative team will be announced at a later date. Start preparing yourself for LuPone's "Ladies Who Lunch" with the video below!